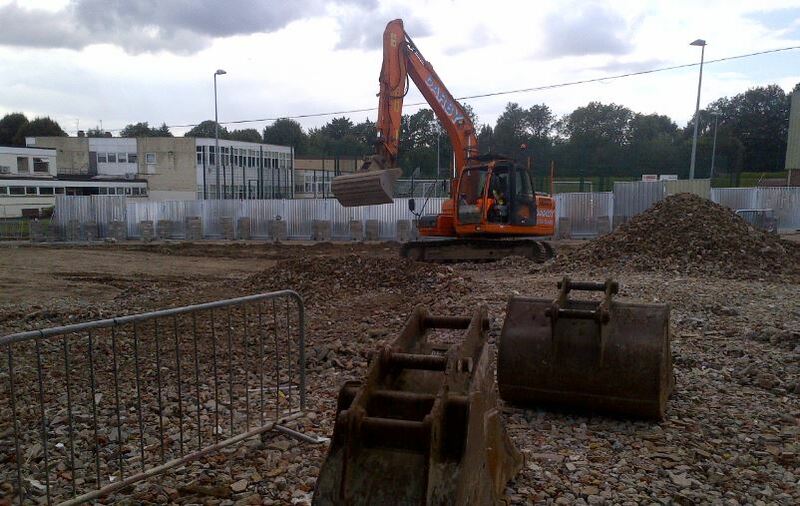 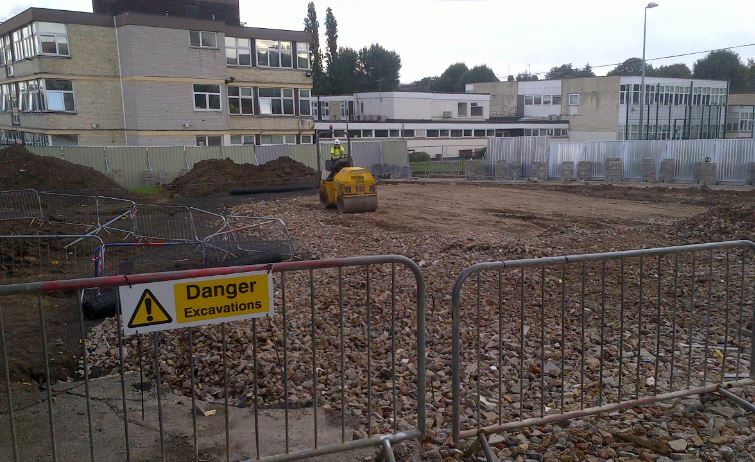 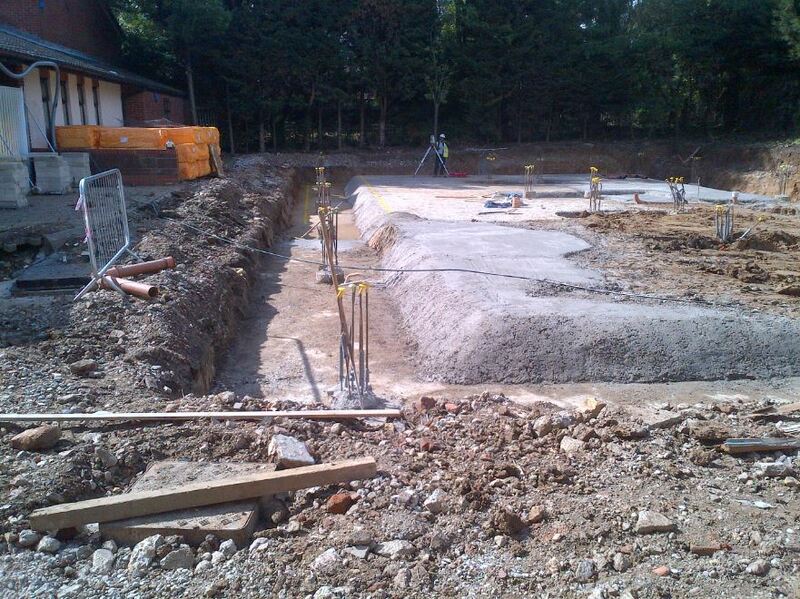 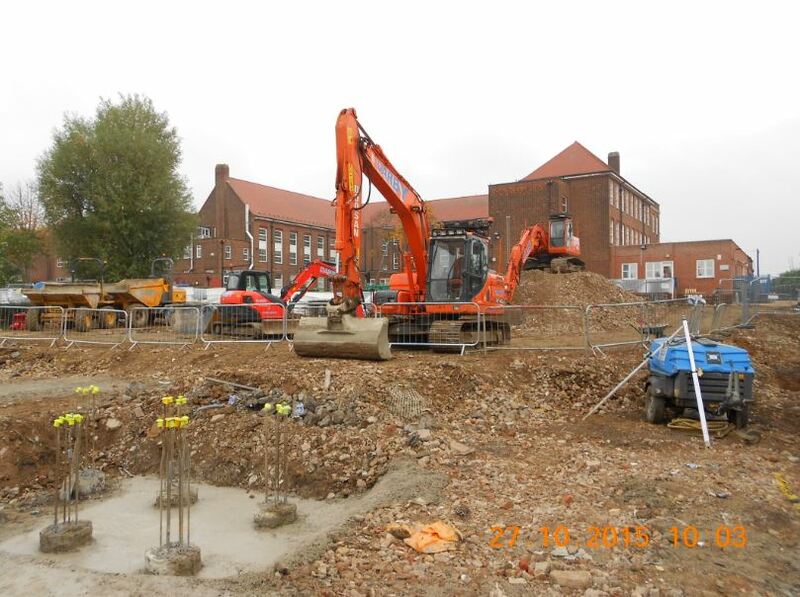 Our works consisted of installing the piling mat. 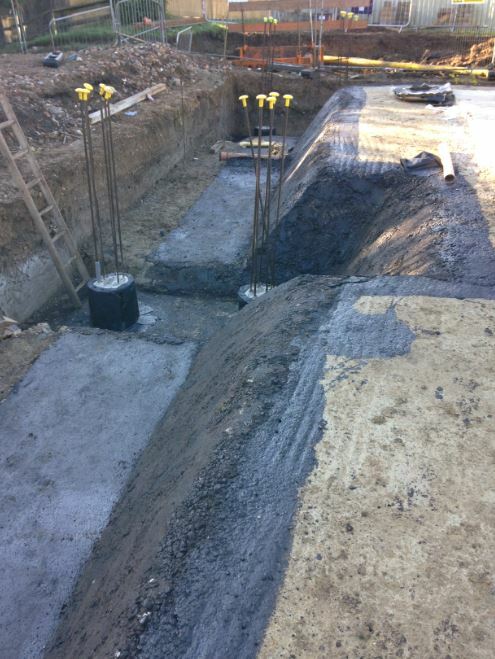 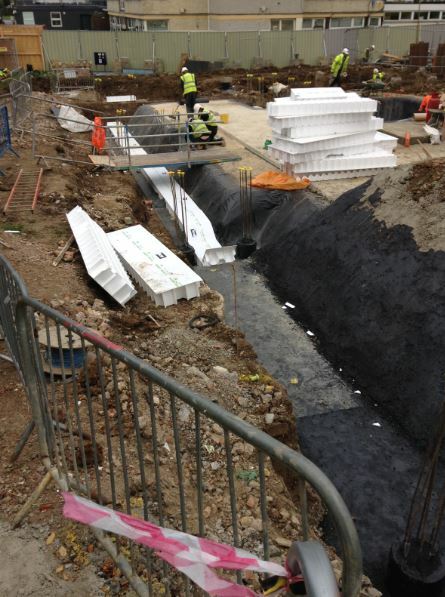 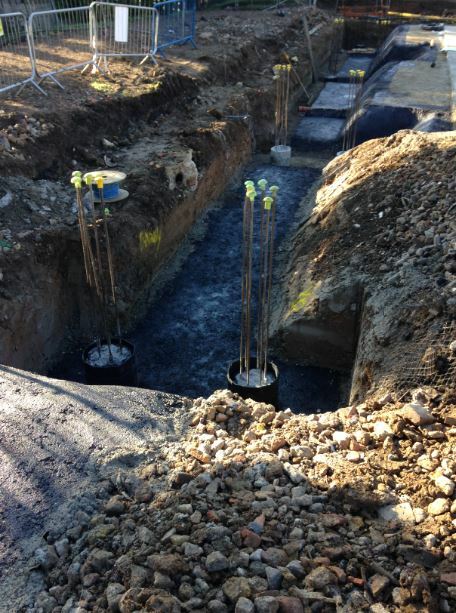 Digging round pile caps and ground beams, then applying the waterproofing, bitumen paint and damp proof membrane. 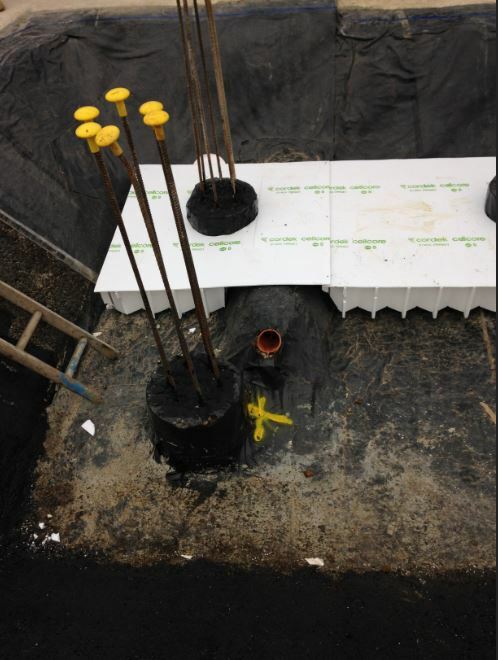 Heave board was then implemented around the pile caps and beams. 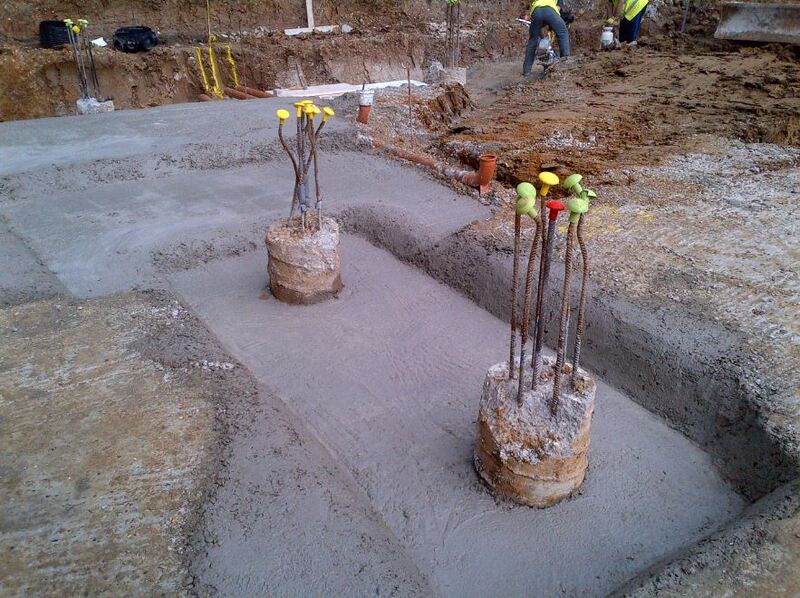 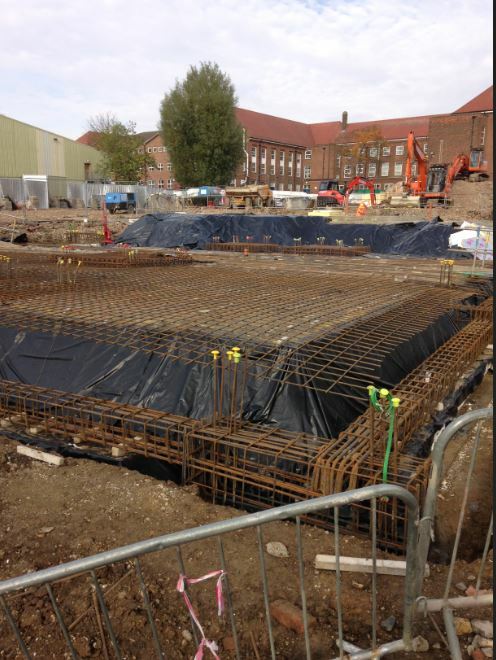 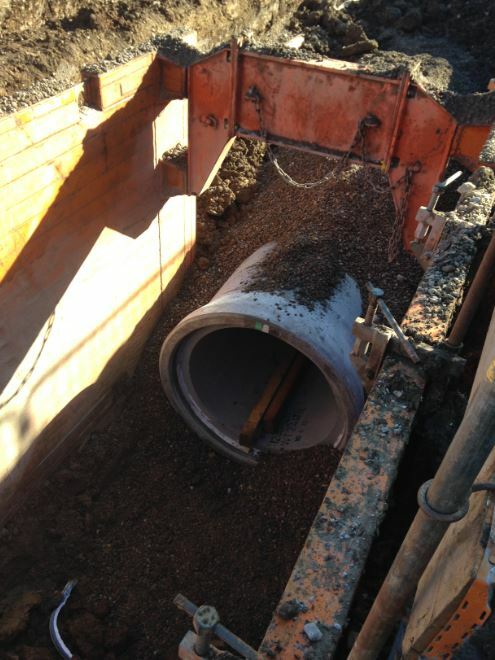 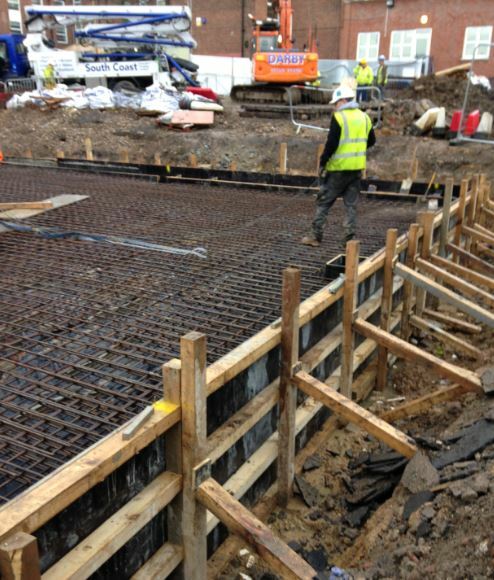 The reinforced ground beams were then rested on the heave board and the mesh reinforcement was then installed. 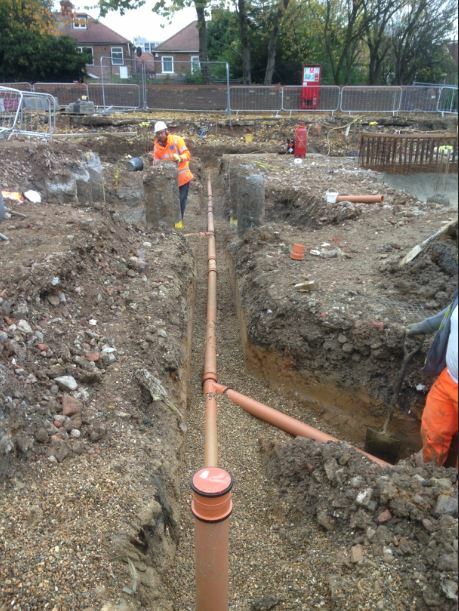 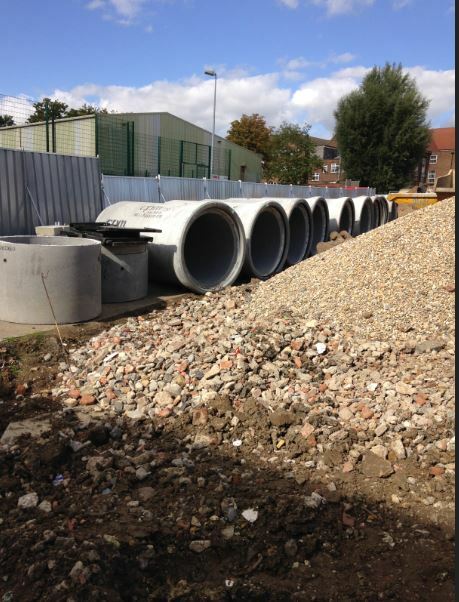 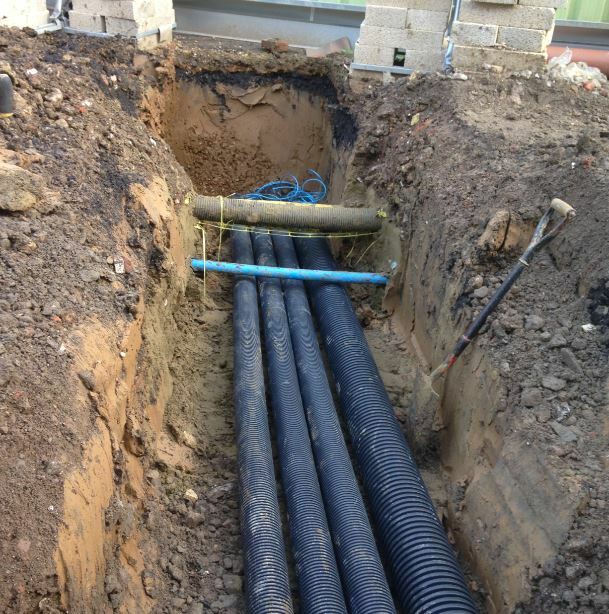 We carried out all drainage works accommodating the new build as well as new electrical services and all external works surrounding the area.